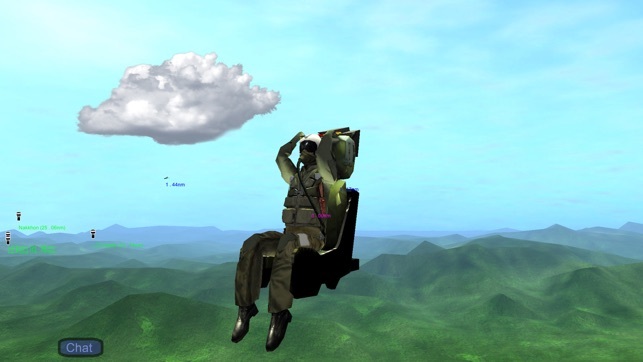 Immerse yourself into the mist of the Vietnam war as an US helicopter or a fighter pilot. 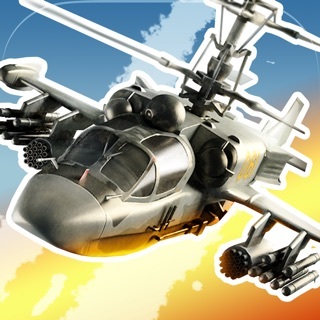 Not like other flight sim games for mobile devices, in Gunship-III the cockpit is highly simulated with ultra-realistic 3D cockpit, full function dashboard, realistic sound effects and all moving parts. Graphics are highly detail with cities, jungles, airbases, also includes a vast terrain covers Vietnam, Laos and Thailand. 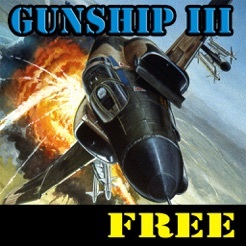 In Gunship-III, you have more aircrafts available to fly more than any other games. We're working hard to bring even more in future updates. Weapon systems in Gunship-III are also highly detail and accurate with real recorded sounds, high fire rate for miniguns as well explosion effect for bombs and rockets. 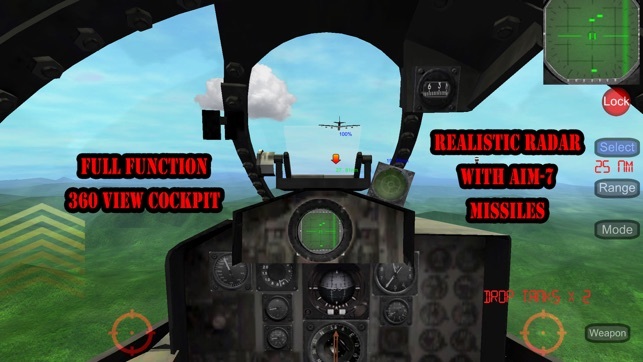 Each mission features many AI aircrafts, you also have AI gunners onboard who will shoot at anything firing at them and make sure nothing could touch your aircraft. The enemy is also aggressive and fearless, they only shoot at you when in close range and be aware of those RPG, they sure take an aircraft down just by one hit. 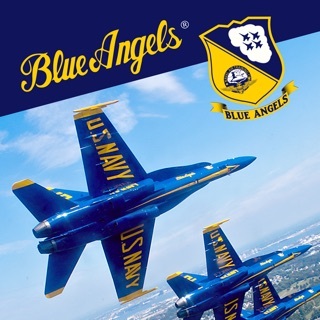 * AI aircraft performance advanced combat tasks. * 360 3D cockpit view with zoom. * Fully functioning cockpit avionics. * Pilot G visual effects. * Auto pilot for long flight. * Two realistic and detailed Vietnam War campaigns: Rolling Thunder (1965) and Barrel Roll (1964). 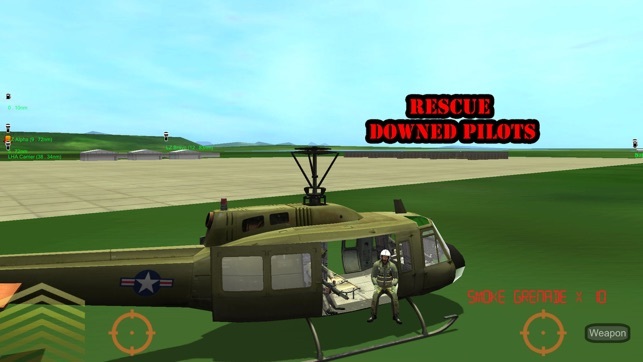 * Full version features 7 flyable helicopters: H-19 Chickasaw, H-34 Choctaw, CH-47 Chinook, UH-1D Huey, OH-6A Cayuse, UH-1B Huey Gunship, AH-1G Cobra. 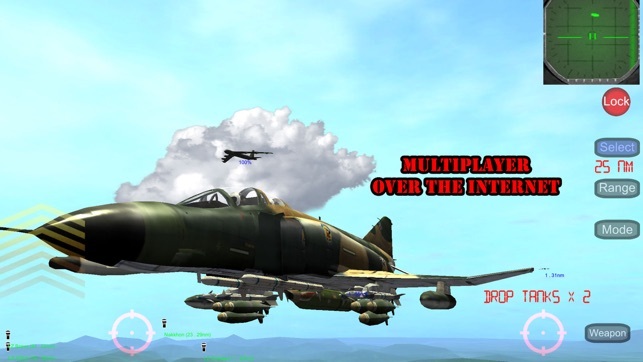 * Full version features 3 flyable airplanes: A-1 Skyraider, F-100D Super Sabre, F-4D Phantom II. 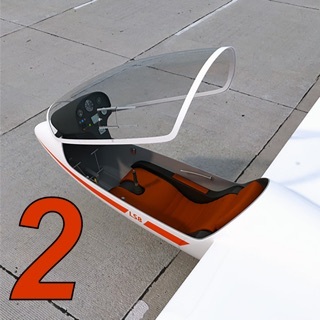 * Multiplayer with live chat, fly with people around the world. I like this game a lot! 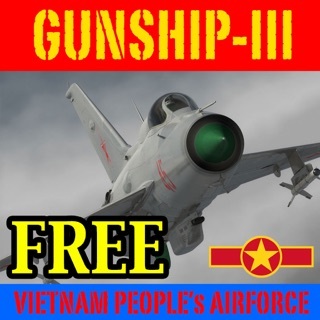 It is one of the few Vietnam war era games that are good in the App Store. Yet you guys have stopped updating this and have focused ur attention more on Wings of Duty which I also like, however, this game has a lot of potential. 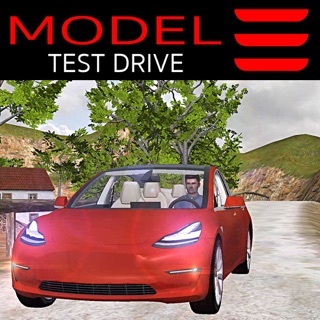 Many more people could be playing this game if you updated this more and also payed attention to this game more, just like Wings of Duty. Some things I would wish to see in this game would be a feature where you could drop your fuel tanks as napalm. Or have an in air refueling aircraft to help refuel you during missions. I would like to see more missions of more different variations. It would also be very cool if you could make some missions for specifically the helicopters where you would have to drop troops off in the jungle and provide support. Also it would be fun to add a feature to play as a door gunner. There should also be more Air Force bases and more friendly A.I. Even though there is a B-52 bomber in the game, it never does anything or even drops bombs. If you could change it so that there would be more things that the B-52 could do, this game would be a lot better. This game has a lot of potential and you could add many more features to the game, however, you have decided to pay more attention to Wings of Duty. This game could have a lot more people playing it and be more interesting if you only paid more attention to details and updates this game more frequently. This game is good but the missions are the same and the planes are the same. I got kinda bored. The skyraider is good but has limited capabilities. 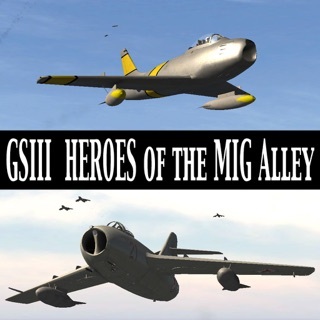 In single player you cant even catch up to the b-52 before it gets blown out of the sky by an MiG. If you even offered one fighter jet like the f-4 the game could be better. One suggestion is making the plane system like wings of duty where you have a currency and you can purchase the planes without using real money. The fighter jet players love to ram skyraiders so add something to stop that. You should have tutorials like wings of duty too. I hope in the future that these will be added/fixed. UPDATE* Really guys? Have you really just abandoned this game to work on Wings of Duty? This is a great game, and deserves more work like Wings of Duty, or maybe even just a remastered version.